If you’ve been playing Cordy on the Android platform, try out Cordy Sky. Time time around, the guys at Silvertree adapts the jumping platform genre and got Cordy jumping all over this digital space trying to reach a space ship. Guide Cordy through incredible springs, bumpers, hover beams, and more in this amazing high-quality 3D game. We liked the original Cordy a lot thanks to the awesome 3D graphics and easy-to-use interface and on-screen gamepads. 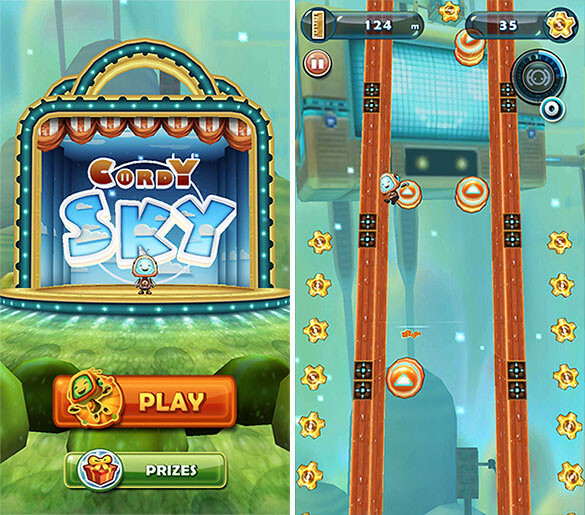 Cordy Sky continues the and we think that it’s quite easy to play at first but heart pounding when we got higher up in the stage. During the game, we are encouraged to collect ‘gears’ as these are used as coins to buy upgrades and to customize the character in the ‘Prize’ store. 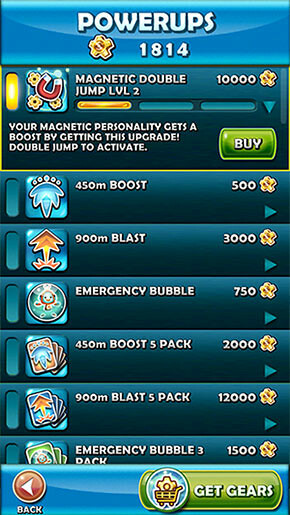 Notice that we have upgraded ‘Magnetic double Jump’ to level 1, an ability to magnetically pull gears towards the character whenever we do a double jump. The rest of the power-ups are the usual Black and boost packs. Check out this game play video below and we don’t see why you shouldn’t give it a try since it’s free anyway.